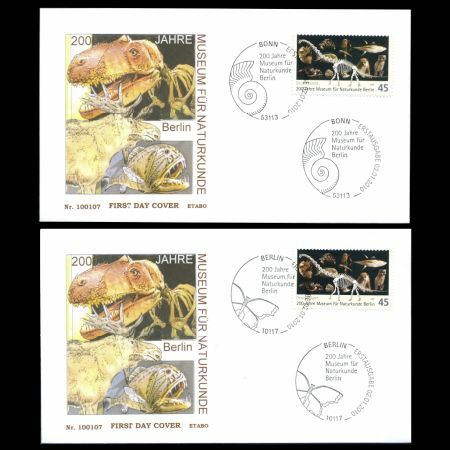 The stamp is printed out in two variation: mint and self-adhesive, bit smaller in size. 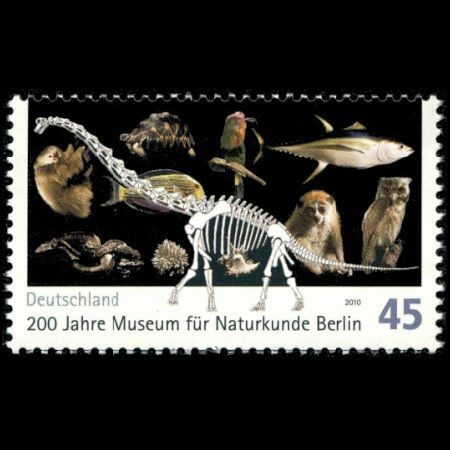 The museum of Nature Science (Das Museum fuer Naturkunde ) in Berlin is one of the biggest and important museums of the type in a world. 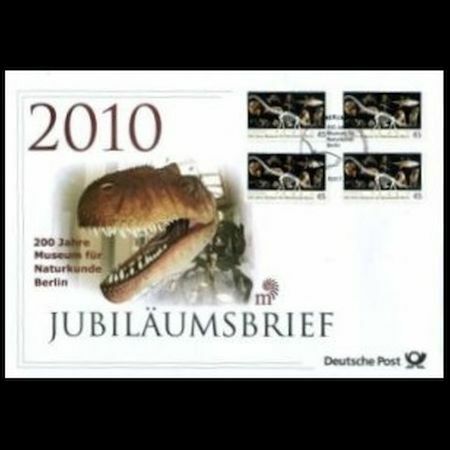 Spectacular artifact of the museum is 14 meter high the biggest dinosaur skeleton of the world (see on the stamp). 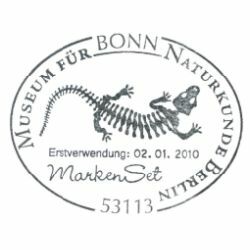 More than 1.5 Million visitors a year visit an exhibitions of the museum with a main focus on history of the Earth and the Life on it, variation of the Life as well as Meteorit research. 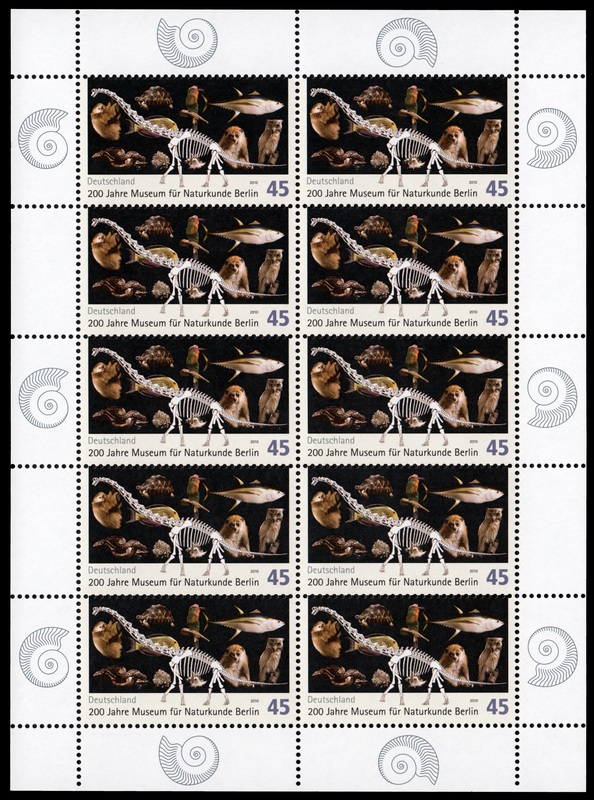 Many scientist are use about 30 million items stored in the museum, related to zoology, paleontology, and mineralogy for their researches. 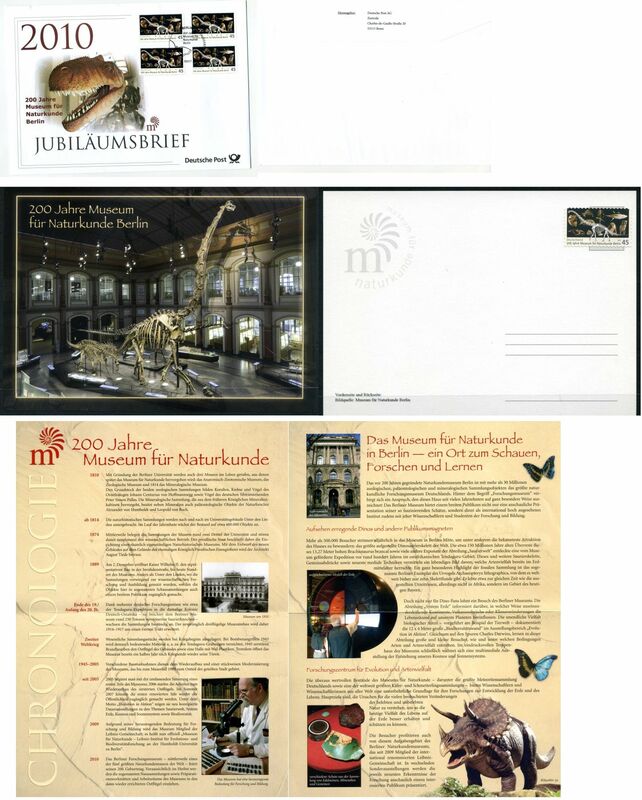 The major artifact of "Evolution in action" exhibition is original, unique and famous fossil of prehistoric bird "Archaeopteryx lithographica" - one of the most important fossils of the world. 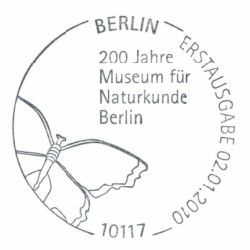 Museum fuer Naturkunde Berlin is a research museum within the Leibniz Association. 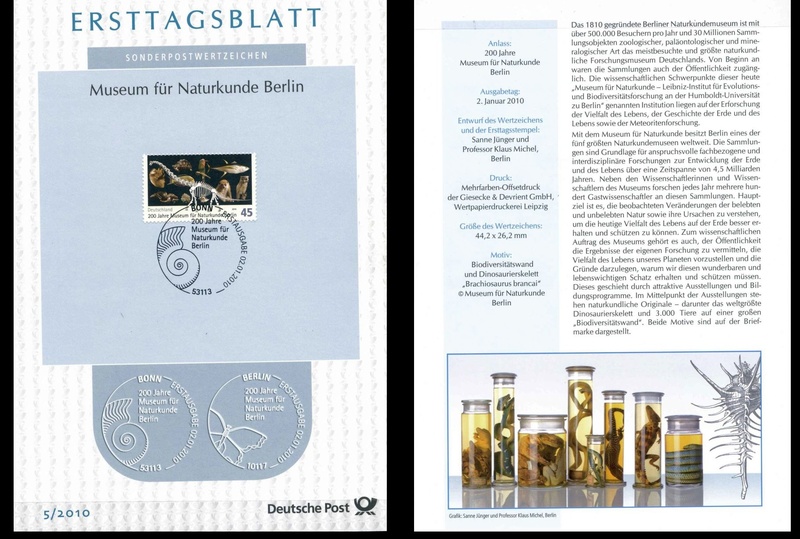 It is one of the most significant research institutions worldwide in biological and geo-scientific evolution research and biodiversity. 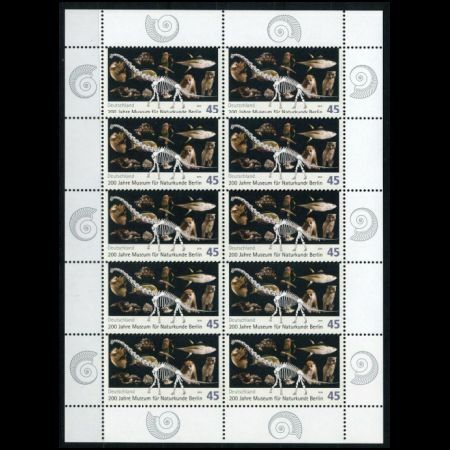 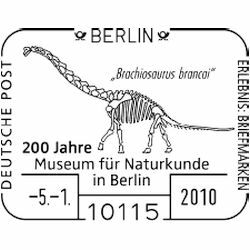 Most famous artifact of paleontologic part of the museum is 14 meter long skeleton of Brachiosaurus brancai , depicted on the stamp. 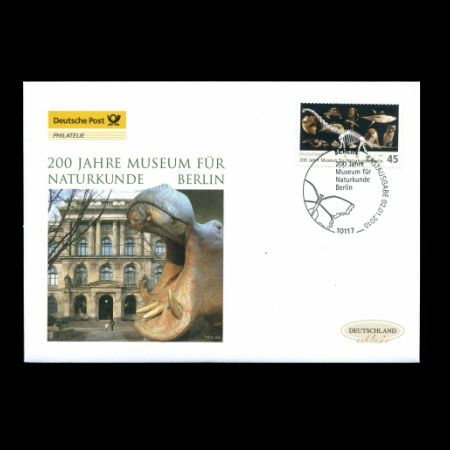 The bones were recovered by researchers at Tendaguru Hill ( 250 tonnes about) and shipped to Berlin, where skeletons were put together. 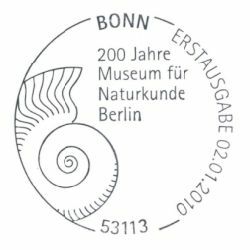 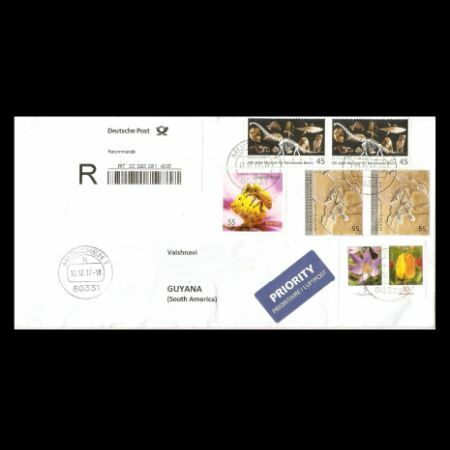 There are three postmarks issued with the stamp:two postmarks of Bonn and one of Berlin. 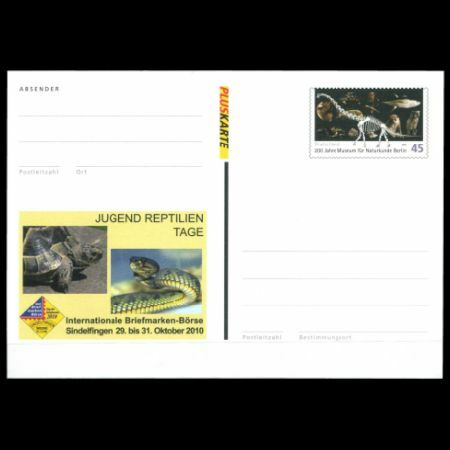 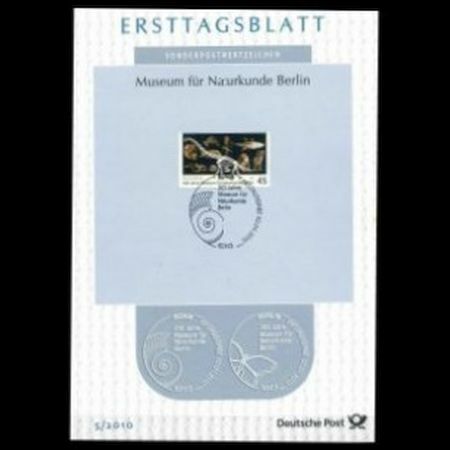 Postmark of Berlin used on official FDC of Deutsche Post, postmark of Bonn used on Souvenir Sheet another postmark of Bonn used on official FDC of slef adhesive stamp. 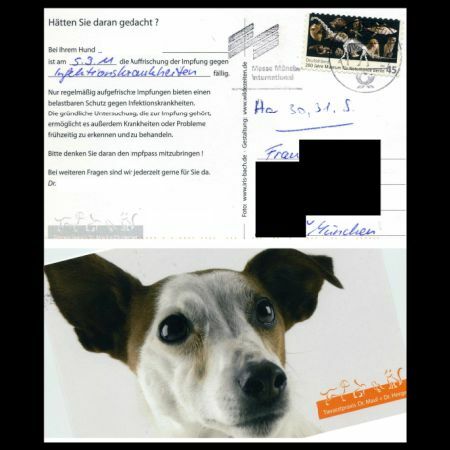 Additional postmark of Berlin issued three days after the stamp issue.